"When someone loses a hand, their brain is networked as if the hand is still there," Huang says. "So, if someone wants to pick up a glass of water, the brain still sends those signals to the forearm. We use sensors to pick up those signals and then convey that data to a computer, where it is fed into a virtual musculoskeletal model. The model takes the place of the muscles, joints and bones, calculating the movements that would take place if the hand and wrist were still whole. 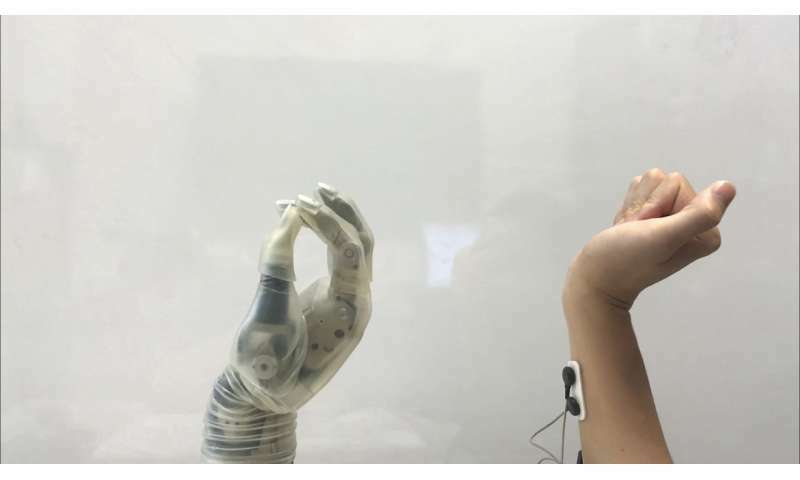 It then conveys that data to the prosthetic wrist and hand, which perform the relevant movements in a coordinated way and in real time—more closely resembling fluid, natural motion. 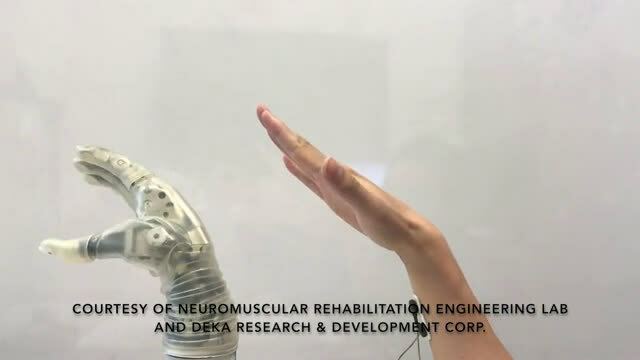 The paper, "Myoelectric Control Based on A Generic Musculoskeletal Model: Towards A Multi-User Neural-Machine Interface," is published in the journal IEEE Transactions on Neural Systems and Rehabilitation Engineering.